Tens of thousands of ISIS fighters, both foreign and local, as well as their families and children, are now in the hands of the Syrian Democratic Forces and the Iraqi military and security services, presenting an immediate and pressing challenge. Five counter-terrorism experts weigh in on the key question: What should be done with ISIS detainees? Quickly catch up on the latest issues in regional policy with Paul Salem’s weekly video briefing. MEI fosters greater understanding of the Middle East through non-partisan policy analysis, educational services, and promotion of regional arts and culture. Discover how you can become a part of the MEI community. Get the latest MEI policy briefings, event notifications, and other updates delivered straight to your inbox. MEI’s scholars draw on deep ties and decades of experience working in the region to build better understanding of Middle East policy. The IranObserved project provides daily tracking and analysis of Iran's policies and actions at home and abroad. The reports and analysis are drawn directly from the Farsi-language press and media published inside Iran. We seek to promote knowledge of the Middle East in America and strengthen understanding of the United States by the peoples and governments of the region. We believe pursuit of this goal is integral to building a world of peace and stability, in which the people of our two regions value our shared humanity. Our experts shape diplomatic, legislative, and public discourse through publications, private briefings, testimony, and media. We provide education and resources to the next generation of global leaders. Our Center for Arts & Culture promotes a more integrated understanding of the Middle East, forging people-to-people connections and creating a destination for exploring the role of the arts in the region. We elevate voices from the region in international conversation. 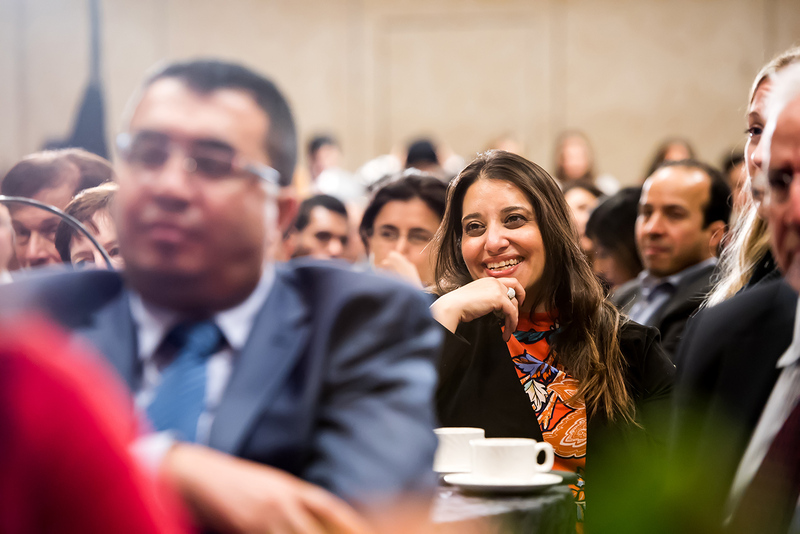 Our international conflict resolution dialogues bring together civil society and political leaders to achieve impact through cooperation both in and outside of the region.